This tells me exactly what the problem is without having to troubleshoot blindly. Since my Task is being closed it kicks off my workflow which tries to update the Task record but the Task record is in Closed state so therefore it cannot be updated. 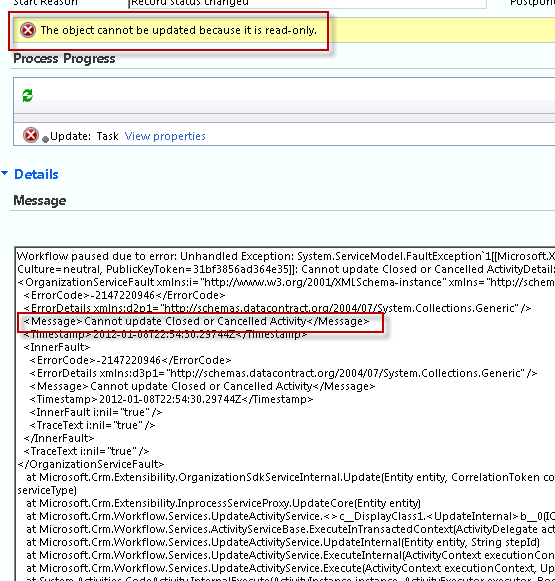 In CRM 2011 Microsoft provides us with a nice UI on the system job record that tells us exactly what the error is and also provides the full stack trace in the Details tab.